The borough remains most notable for its eponymous school, which boasts Winston Churchill and Benedict Cumberbatch as part of its alumni. Immediately surrounding the schools borders is Harrow on the Hill, the most affluent part of the borough. Most recent data suggest properties here we’re selling for over £600,000 on average (nearly double the borough average), with detached homes attracting more than £1.3 million. However, like most London boroughs this affluence is juxtaposed against archetypal north west London suburbia, typified by 1930’s semidetached houses and flats. This is illustrated by the dominance of the socio-demographic group “suburban mindsets” across the borough, which accounts for 45% of the population. With over half of its residents born overseas Harrow is also home to one of the largest migrant populations in London, making it an extremely diverse borough. However, there are fewer pockets of real deprivation in Harrow compared with similar boroughs and much of the area enjoys a good standard of living with access to open spaces and greenbelt land. A strong transport infrastructure comprising eight underground and six over ground stations, combined with its relative affordability has seen Harrow becoming increasingly popular with a younger cohort in recent years. Young professionals and first time buyers moving out of the city are particularly attracted to areas surrounding Pinner and Stanmore, in the north west and north east of the borough respectively. Specifically, Pinner boasts a total of twelve conservation areas encompassing 90 hectares, ensuring the preservation of the area’s village atmosphere. In the final quarter of 2014 flats in the area sold for an average of £287,000; approximately £124,000 less than the London average. Overall, average house prices across the borough are currently £372,000 having risen by 17% in the past year. House price to earnings ratio: 7.7. 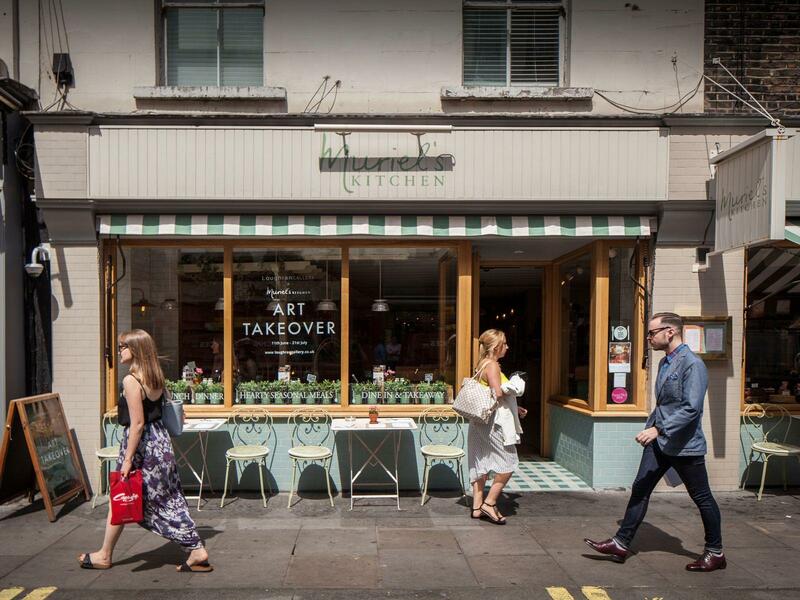 Owner occupiers: 74%.